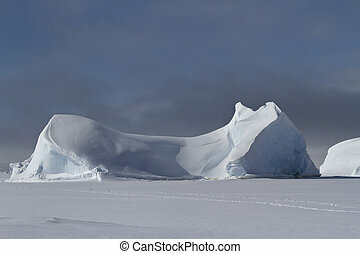 Elongated iceberg frozen in antarctic islands winter day. 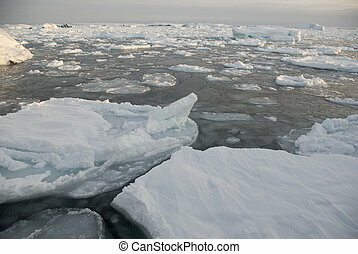 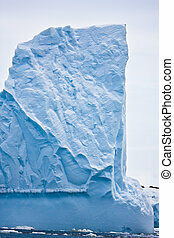 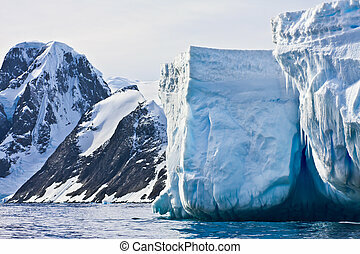 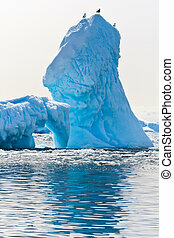 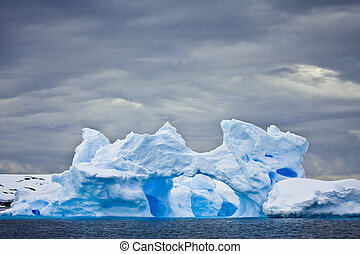 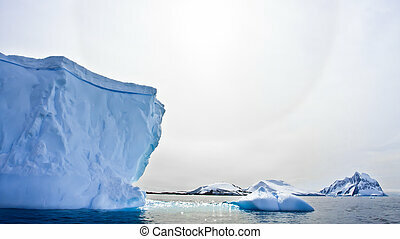 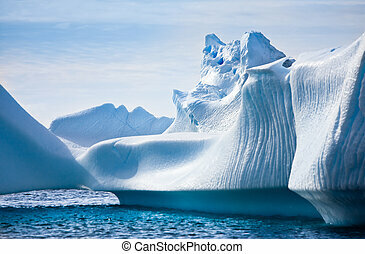 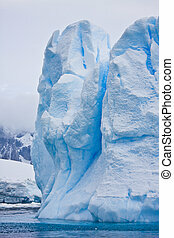 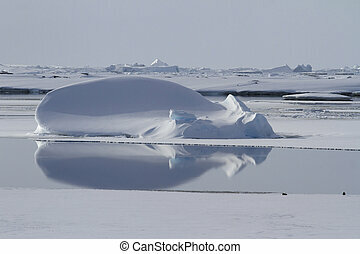 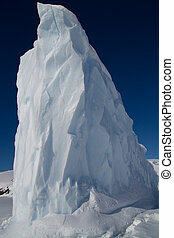 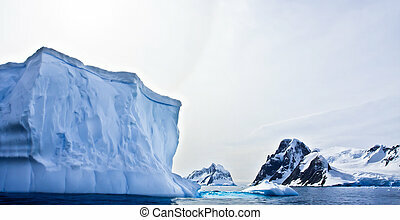 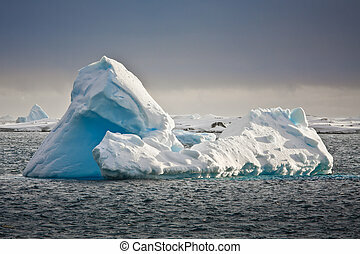 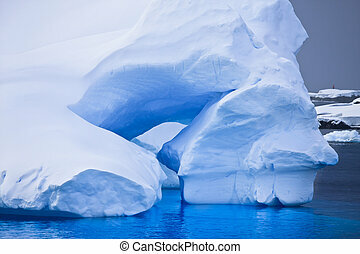 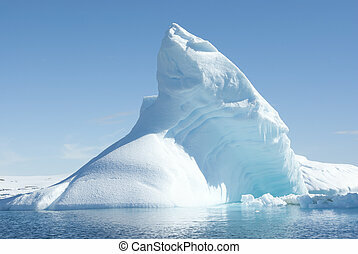 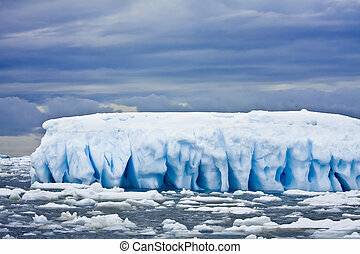 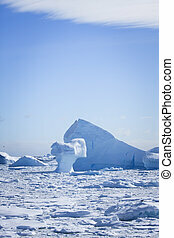 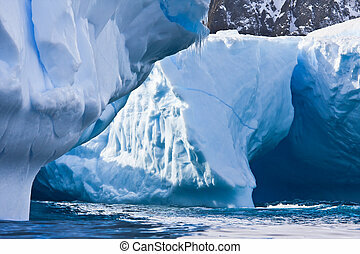 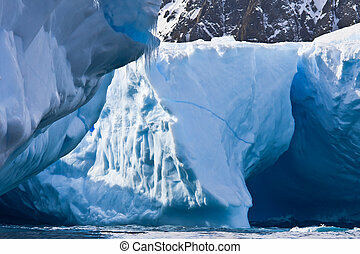 Antarctic iceberg in the snow. 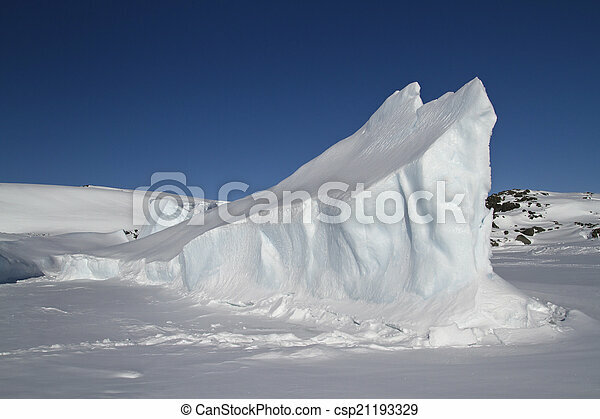 Beautiful winter background. 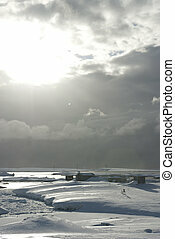 Antarctic station in the winter, overcast day in the snow. 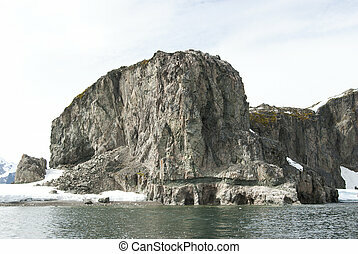 Rock ea coast of the Antarctic island summer day. 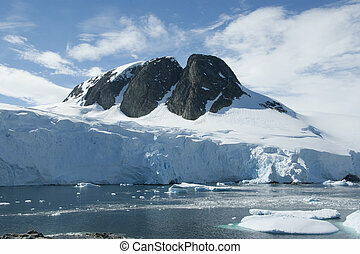 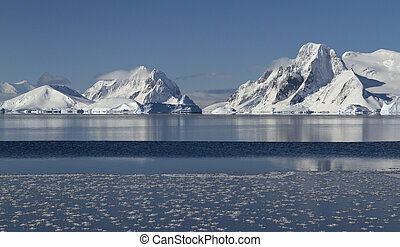 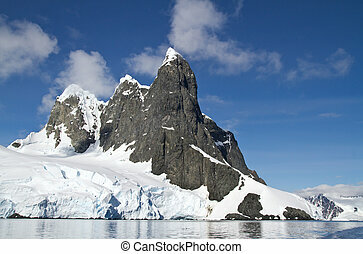 Mountain peak in Antarctica, one of the islands. 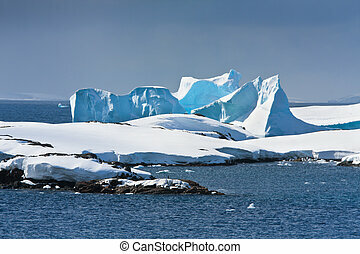 Icebergs in the sunny bright light on the background of the island.